These wallabies are found in Eastern Australia. They like to sleep during the day and are active at night. 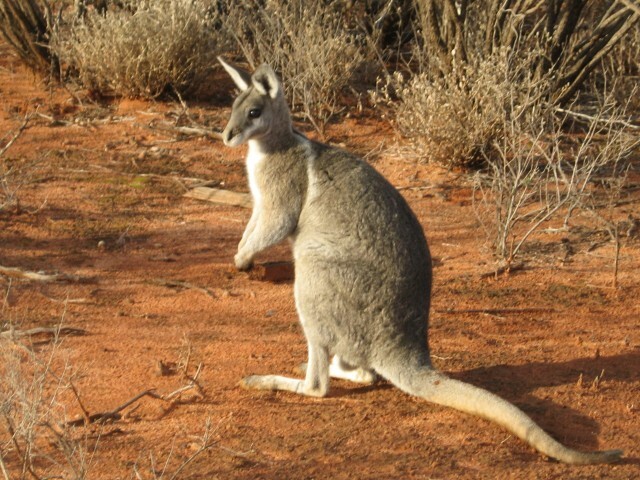 The females are pregnant for 23 days and then carry the little joeys around in their pouch for 4 months. 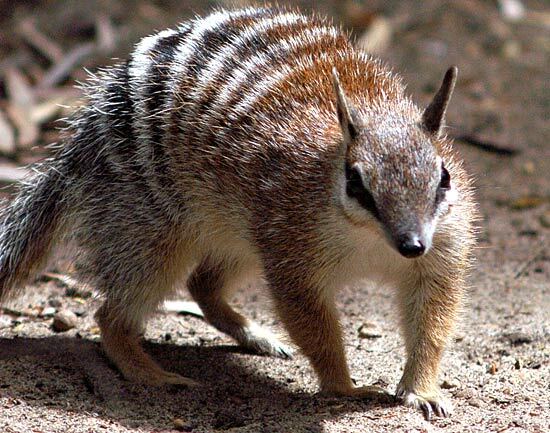 The Numbat is also called the banded anteater. Unlike many other marsupials the numbat is active during the day instead of the night. The young are fed at night and moved on the mother’s back from one nest to another. 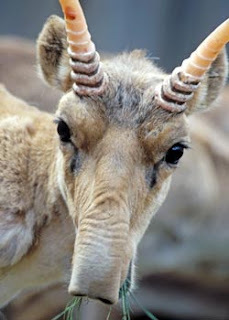 The Saiga Antelope is very unusual in appearance because of it huge, inflatable, and humped nose. They are a migratory species, migrating in the summer and winter in large groups. Their large noses help them to filter out airborne dust during the dry summer migrations, and also in the winter to filter out cold air before it reaches their lungs. 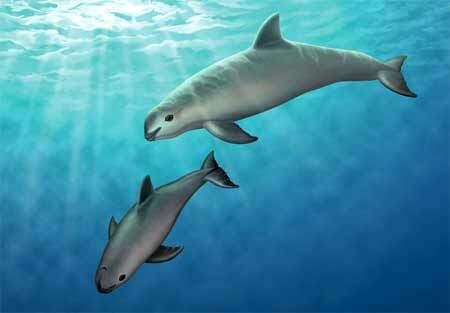 The Vaquita is a porpoise found only in northern area of the Gulf of California. They look similar to dolphins but are rounder and stouter. The vaquita is the smallest porpoise species, and it is said to be the most endangered of all marine mammals. Vaquitas have never been hunted directly, but since they coexist with heavily hunted fish they become entangled in nets. The pygmy rabbit is the smallest known rabbit in the world. Only one confirmed population exists today in the Columbia Basin of Washington. 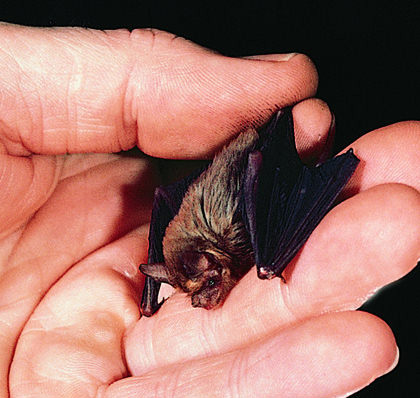 Adults could easily fit into the palm of a hand, weighing only up to 1 lb. 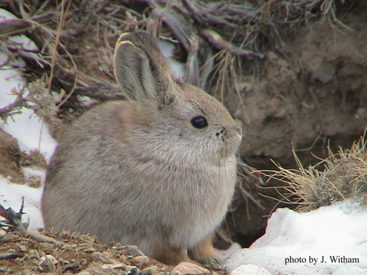 Threats to the pygmy rabbit species include habitat loss due to agricultural development, predation, and disease. All pygmy rabbits found in the state of Washington are legally protected. 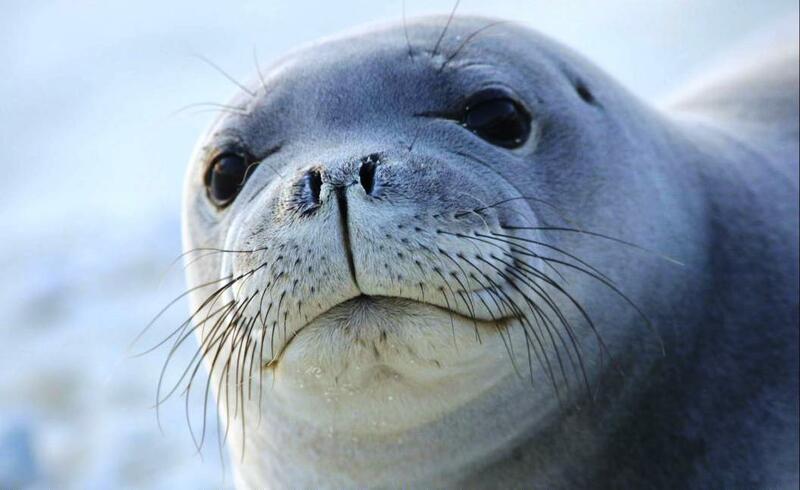 The Hawaiian monk seal is found on small, uninhabited islands in the northwestern Hawaiian Islands. Adults can grow up to seven feet in length and can weigh as much as 600 lbs. A number of islands are now designated as reserves for the species. Just arriving in South America for your daily dose of some interesting animals. Endangered creatures week isn’t over yet. Hakuna matata. (song from the Lion King) Don’t they look like they should be one of the animated characters on the Lion King? You know with Timon and Pumbaa. I actually just googled how to correctly spell Pumbaa. ha. I like their silky gold hair and mane. They are from Rio de Janeiro in Brazil. 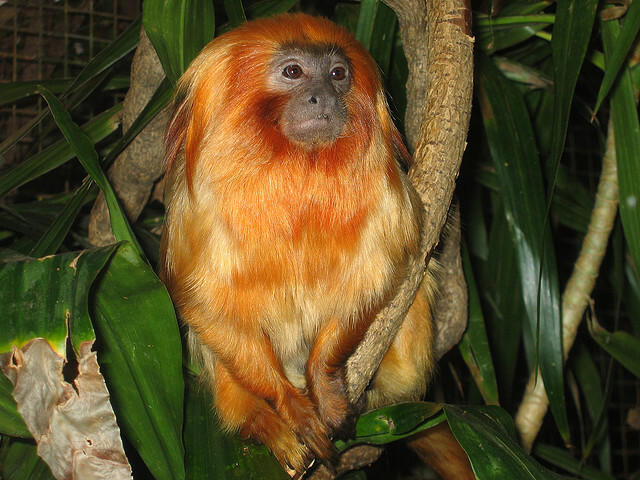 They prefer to stay with their family in their rain forest habitat. And females typically give birth to twins. These little creatures are hunted for their fur. It takes 400 to make 1 fur coat. Too cute and sweet to be hunted. the end. 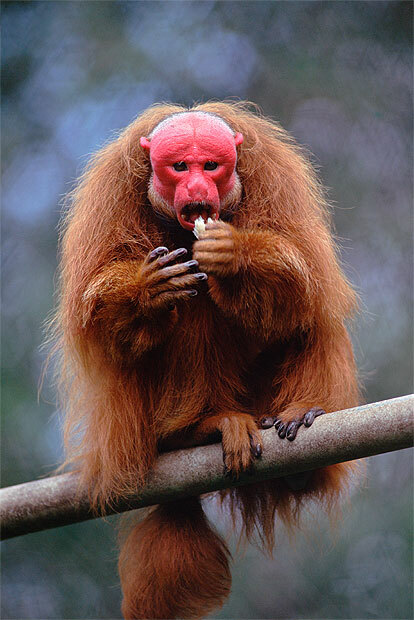 Very unique looking animal, the Bald Uakari’s red face means good health. If their face is pale that signals they may be sick. They weigh between 4 to 7 lbs. They are intelligent and live in large social groups. Most friends on Facebook and Pinterest? 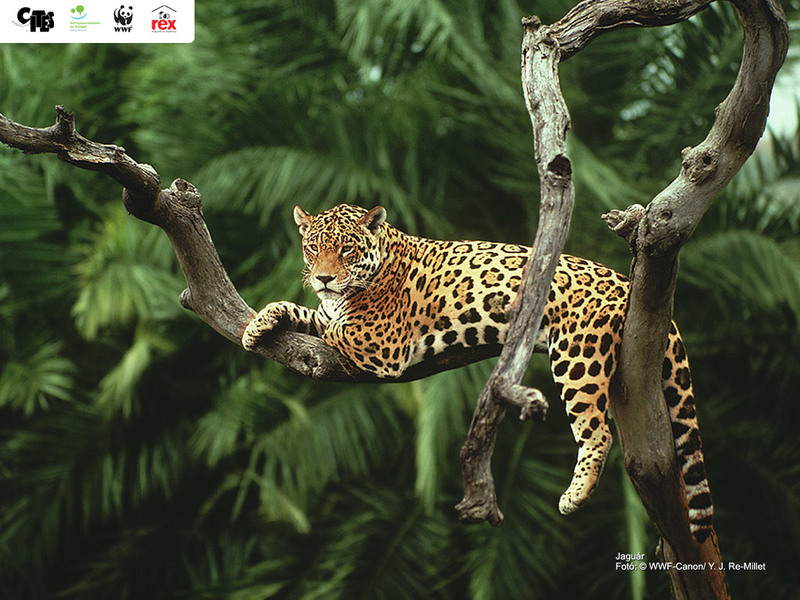 Often mistaken for the leopard, the Jaguar has a larger head and more powerful build. The Jaguar is the largest cat in the Americas weighing in at up to 250 lbs. Although they are typically seen with the above coat, it is not uncommon for a Jaguar to have an all black coat. See you tomorrow from Down Under! We flew overnight from Asia to Africa. Crazy, right?! Ok well not literally. Just in the great and exciting blog world. The endangered creatures shown on the blog today live in Africa. My what big horns you have. I kind of think the horns make you look 10 lbs thinner. Oh, you’re welcome Ms. Addax. 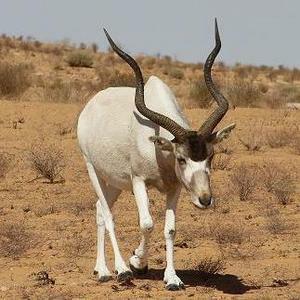 These animals live in North Africa and there are only a few hundred left in the wild. Fortunately there are breeding programs for the Addax. I like your mask, I think it is rad. 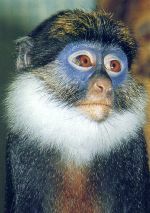 These guenon are known by their white beards. They were once thought to be extinct until a small group of them were found. 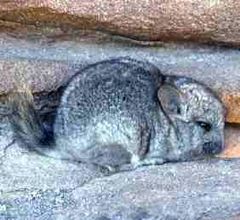 They have a low reproduction rate which contributes to their endangered status. 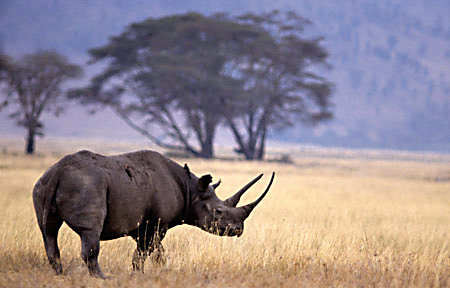 Males wander alone until it is time to breed or when wallowing in waterholes with other rhinos. Isn’t that just like males to only show up in time for… What? I am not saying it. Ok. okay. I was implying it. Sadly, their lives are threatened by poachers because their horns are in high demand. The horns sell for over $20,000 on the black market! Yikes. Conservationists have tried to remove the horns to discourage these poachers but it still seems to be happening. 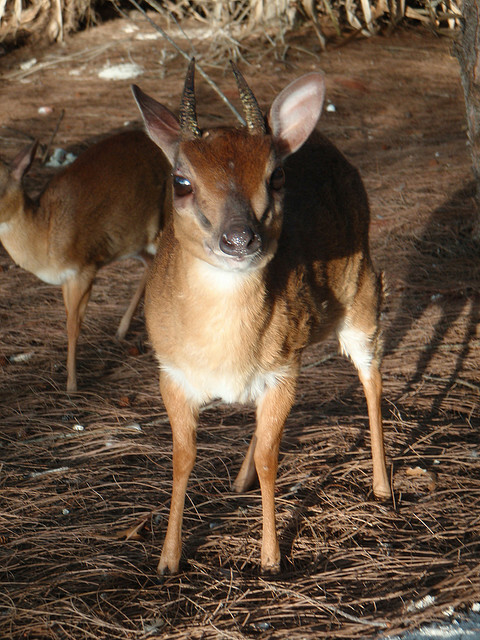 These little dudes are very small antelope, they weigh up to 12 lbs and are usually between 13 and 15 inches high. They can camouflage themselves to match their surroundings to avoid being detected by predators. They sleep during the day and are active at night. They are threatened by habitat destruction and being hunted by humans. If you have seen a large wild animal in their large enclosure at a zoo or wildlife reserve you know it is often unusual to see them up close, they are often sleeping, hidden, or too far away. 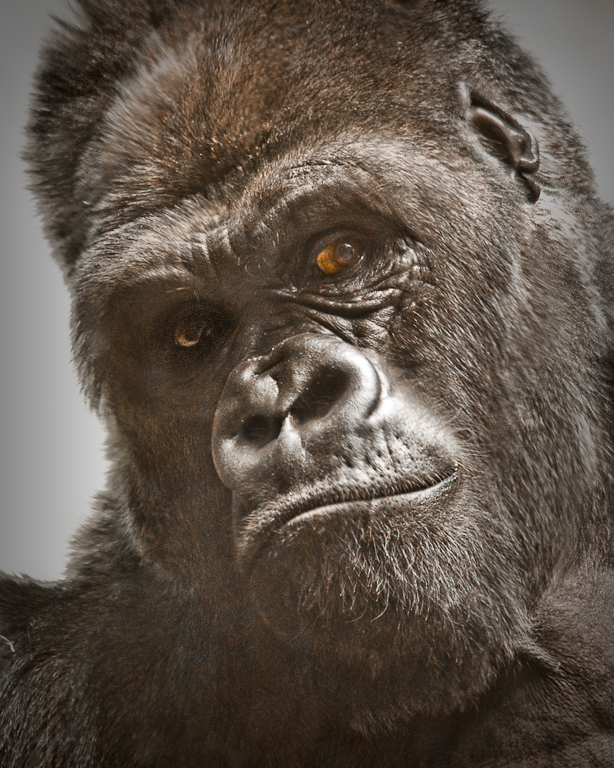 I was at a zoo years ago and a gorilla was sitting right next to the glass of the viewing portion. The few inches of the glass were all that separated us. It made a big impression on me. Their features seem so similar to humans. How very sad that their population has been depleted. See you tomorrow from another continent! * Disclaimer of Animal Week- Some of these animals may be found on more than one continent. Yesterday I started Animal Week. Because I think the animals on the Endangered Species List deserve the spotlight. I am going to feature some of them this week. Today I am bringing you animals from Asia*. Doesn’t it look like they are kind of smiling at you? These animals could only be found in the Yangtze river in China and sadly enough scientists believe they may already be extinct. To be honest I just think these guys are cute. They are intelligent creatures too. 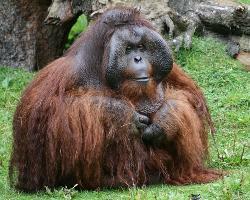 Smart and adorable, yep I am a fan of the Bornean Orangutan. 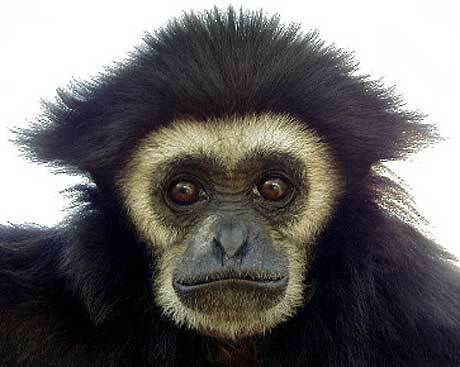 They are classified as highly endangered due to loss of their habitat and poaching. 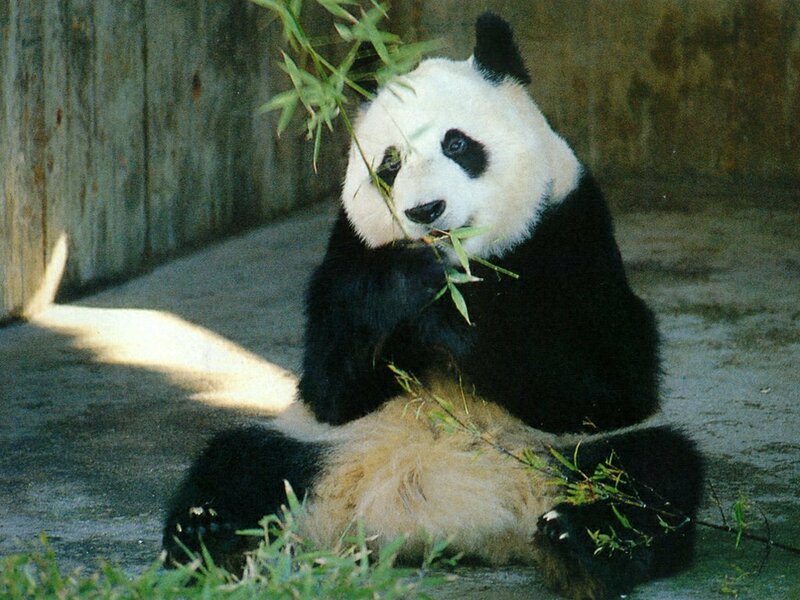 I can’t talk about Asian animals and leave off the Giant Panda. Nope, can’t do it. Love them too much. These native China animals can weigh up to 330 lbs of panda cuddle. They are legally protected and there are now established panda reserves. Hi there furry white eye brows! This animal sings. Yep they sing, sometimes in duets, to protect their territory. They are tail-less but have long limbs that they use to swing from tree to tree. Funny little dudes. Last week I mentioned how much I like Polar Bears. And I started thinking about how unfortunate it is that they are on the Endangered Species List. I did a little fact searching and could not believe how many animals are on the list. Over 10,000! Too many. How sad that some of these fantastic species may not continue to exist. We share the planet with so many interesting animals. I thought I would declare this week, Animal Week, on my little blog. I want to highlight some animals on the Endangered Species List. 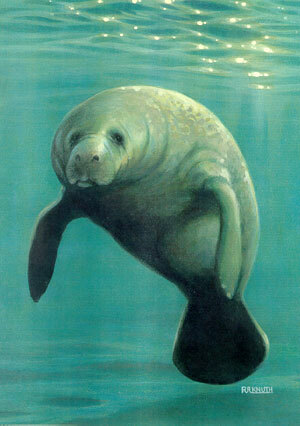 The Manatee. These big ‘ol softees are also called Sea Cows. I can understand why. They can be up to 12.5 feet long and up to 3500 lbs. One of the reasons they are on the endangered list is accidental entanglement in fishermans nets. Another is that their habitat is being destroyed by development. There is an organization called “Operation Sea Cow” that help protect the manatees and promote awareness. If you have a blog and want to join Animal Week in your own way, join in! Or if you have an animal that you think should get some limelight let me know.